The “30-Day” rule – See something you want to buy, wait for 30-days before you buy it. If you still NEED it after 30-days, buy it. Entertaining Children – Research local free events in your community. Where we live (Palm Beach, Queensland 4221), there are plenty of free community events our kids enjoy e.g. fireworks, sporting club events, Christmas carol events, swimming in Currumbin or Tallebudgera creeks, Skate parks, a piece of cardboard and a grass hill (You know you loved it!). They mostly just want your time. Drink More Water – Reports suggest that up to 70% of hunger pains are actually the result of not being hydrated. Sounds trivial right? If you experience hunger pains twice a week because you’re not properly hydrated, and you buy a meal on each of those occasions, at an average cost of $10 per meal, that = $20 per week, $86 per month and $1,040 per year you could have saved, simply by filling up a glass at home. It creates a constant reminder of how much debt you have, and how long it actually takes to repay it. It will encourage and inspire you to paydown your debt faster, freeing up money for saving. Eat Breakfast – It’s been proven time and again, eating breakfast causes you to eat less throughout the day, and therefore spend less. Invest in a Deep Freezer – Meal prep and cook in larger quantities, and freeze individual meals, it’s cheaper to buy in bulk and freeze the excess. Turn Off Appliances you’re not using at the power point – I know it can be an inconvenience at the time, but do you really need the kettle, washing machine, dryer etc. turned on all the time? Take More Public Transport – We recently looked to order an Uber after eating out. They wanted $48 to go a distance of around 1.5km. We walked 300mtrs to bus stop and got the entire family home for $6.40. Now we are converted, we love the Gold Coast bus system, Maddox (my 6 year old) loves the 777 via Palm Beach – it’s a double decker! Now that’s a cheap way to entertain the kids. Buy a Razer Sharpener – They can help to extend the life of you shaving razer by at least 3x the life you would usually expect. A 10 pack of razers is generally between $20-25 a $30 razer sharpener is worth it! I have one and its great, you can get them from the Shaver Shop. Never Give Up – Excuses come easy, savings do not. No different to a diet or personal goal, it’s easy to make an excuse and give up, rather than it is to challenge yourself to maintain the discipline of saving. Told you they were easy! Importantly, whatever changes you make, they have to be achievable. 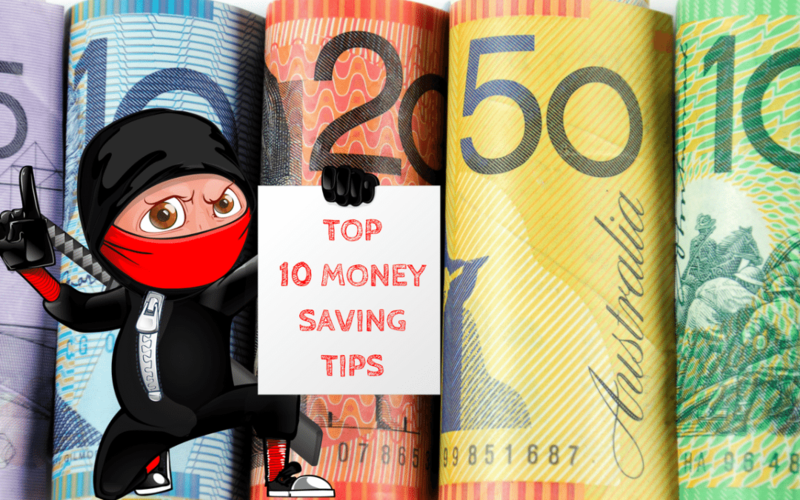 And never forget, having your own savings is a big tick for any bank, especially if you plan to take out a car loan or mortgage and provides you with more choice, lower interest rates, lower fees and therefore assists you with your ongoing savings! We would love the opportunity to help you with this. We can assist you to analyse your current spending, see where the money is leaking, what changes you can make, and support you along your journey. Give us a call for an obligation free chat! PS: Its never too early to chat, we often need 6-12 months to help you clean up your statements and save additional funds to get you the best rate.